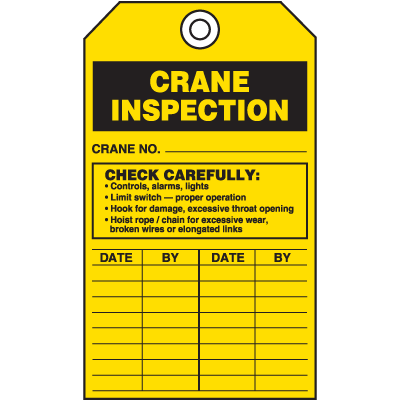 CRANE INSPECTION CRANE NO. _____. CHECK CAREFULLY: · Controls, alarms, lights. · Limit switch - proper operation. · Look for danger, excessive throat opening. Hoist rope / chain for excessive wear, broken wires or elongated links. DATE. BY. Date. BY.